HVAC systems are made to last for many years. 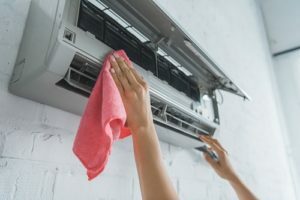 However, without the appropriate air conditioning maintenance, you might find that you have to find a replacement much sooner rather than later. Air conditioning units, as well as furnaces, could be very expensive to replace. You surely do not want to do that every couple of years. You need to make sure if you are having a new HVAC unit installed, it should be properly sized. This can be done through a load calculation. This is critical because an incorrect size system can lead to extra wear and tear. Also, a system that is too small for your home will continuously run but will never be able to give you the comfort you need. Meanwhile, a system that is too big needs to be turned on and off constantly because it will reach the temperature right away and this will result in moisture problems and deterioration on the system. One good way of extending the lifespan of your HVAC system is to have it inspected by a professional HVAC contractor. This will not just extend the life of your air conditioning unit but also assist you in saving cash on the cost of running your air conditioning system. During the inspection, the HVAC technicians may also fix minor issues and stop them from becoming serious issues. You may have heard this advice a lot of times before but it needs to be repeated all the time. A blocked filter prevents the airflow and will cause the unit to work harder than usual. This can cause the furnace to overheat and even shorten the lifespan of your Florence HVAC system. The recommended time frame to have your filters replaced is every three months. However, it is also ideal to have it replaced monthly especially during summer and winter because it is being used more often. This simple method will help protect the components of your system and improve your indoor air quality. The more your unit runs, the more it becomes susceptible to deterioration. Because you are using your HVAC system all the time during winter, you may want to reduce the temperature before you leave the house so that it can get the rest it needs. In case your HVAC system has an outdoor unit, you have to make sure that it is clean. Grass clippings, leaves, twigs, as well as other debris may build up on the condenser unit located outdoors. Get rid of the debris and hose off the condenser coil every once in a while. You should also help your HVAC unit by not relying on them all the time. There are simple things you can do to help extend the life of your HVAC system. These include closing the blinds during summer, using your ceiling fans, sealing and insulating your home properly, cleaning your outdoor system, changing the filters, and scheduling a regular HVAC inspection from professionals like Florence HVAC Experts. Call Florence HVAC Experts if you have any problems with your HVAC system.